Residential, Commercial, & Industrial Heating & Cooling Services. Steers Heating & Cooling is the Parkersburg area’s leader in residential, commercial, and industrial heating, ventilation, and air conditioning repair needs. As part of our heating and cooling maintenance services we also offer duct cleaning for residential, commercial, and industrial customers. Steers Heating & Cooling has been built on a foundation of honest, hardworking, and reliable technicians. We strive to achieve outstanding customer service along with top quality installation and repair work. Here at Steers Heating & Cooling, in Parkersburg, WV, our educated technicians provide complete customer satisfaction with 24/7 emergency HVAC support. If you are in a bind and need a free estimate, call Steers Heating & Cooling of Parkersburg at (855)-226-9630. One of the long time specialties of Steers Heating & Cooling is servicing residential customers in and around the Parkersburg area. For 70 years, we have been the Mid-Ohio Valley experts in installation, equipment updates, maintenance, and repair for your home. For our residential customers, we provide air conditioning, furnace, and water heater installation and repair services. Steers’ is now a provider of geothermal and radiant floor heating for your home. 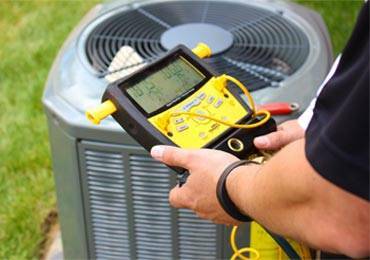 Our certified technicians have the training to manage all of your heating and cooling needs. Whether you need your air conditioner repaired or a new furnace installed, call Steers today. We offer well-trained, expert service at a reasonable price. Steers Heating and Cooling provides an extensive list of commercial heating and cooling services for customers in the Parkersburg area. From preventative maintenance and backflow testing to service and repair work, we are your go-to HVAC company for all your commercial service needs. Here at Steers Heating and Cooling, we pride ourselves on making you our number one priority. We provide HVAC services for area restaurants, retail stores, doctor offices, hospitals, schools, and fitness centers. Our commercial services include air conditioning repair, rooftop units, boilers, refrigeration, and infrared heating. Just like we do for our residential clients, we also offer our 24-hour emergency services to commercial clients in the Parkersburg area. The technicians at Steers Heating & Cooling are skilled professionals with experience in industrial heating and cooling services. Large corporations and manufacturers can count on us for installation, repair, and maintenance for chillers, ventilation, and exhausts. Our goal for our industrial clients is to maintain the proper indoor air atmosphere for their buildings. Whether your company is in need of full system servicing or is looking for installation of new equipment, Steers has the experience to get the job done right and on time.